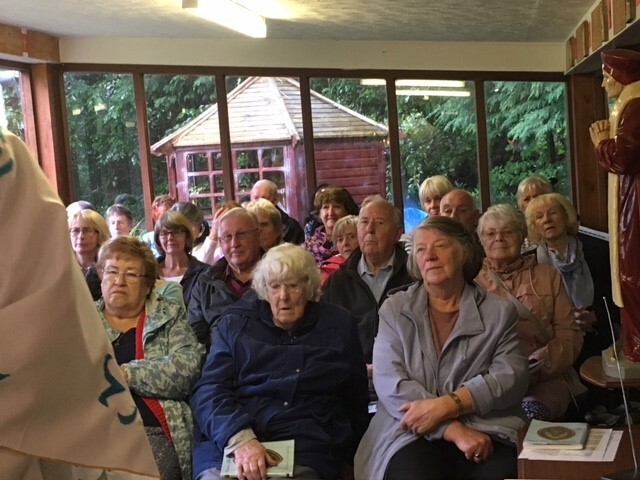 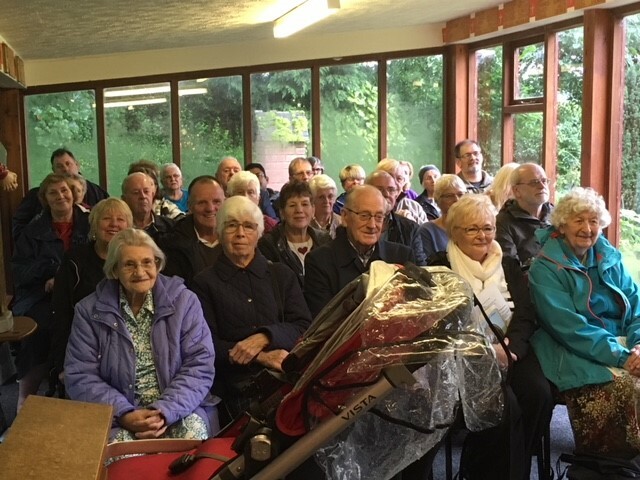 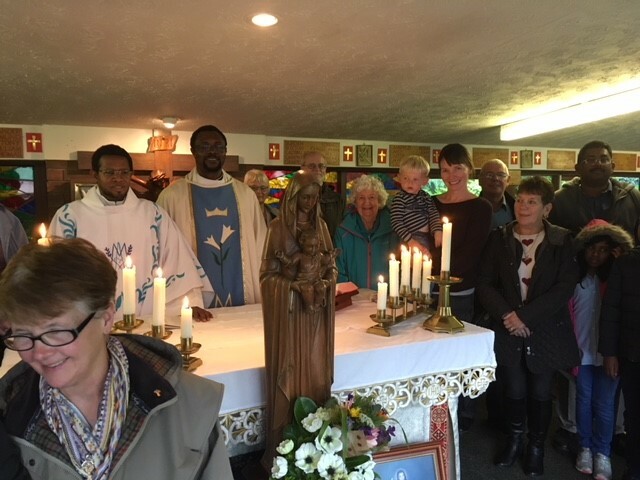 Though it rained persistently in Preston today, people of God nevertheless gathered in numbers at Ladyewell Shrine to celebrate with us the Feast of the Nativity of the Blessed Virgin Mary. Their active participation in the liturgy was excellent. 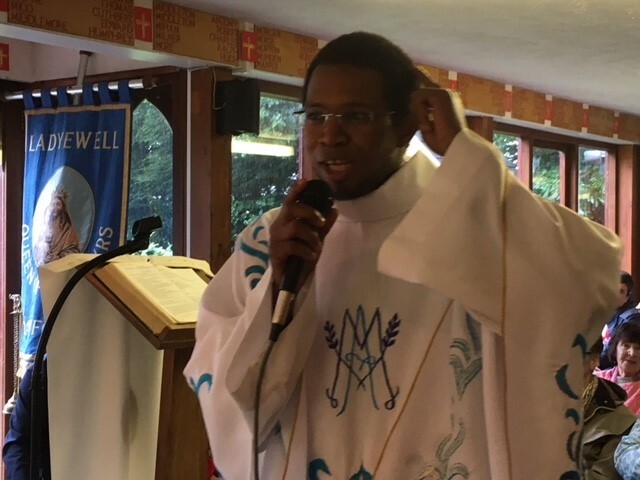 Fr Mario gave a wonderful homily in which he beckoned on each and every one of us to submit our imperfections or weaknesses to God who knows how to use what is weak to shame the proud since his power is made manifest in weakness. 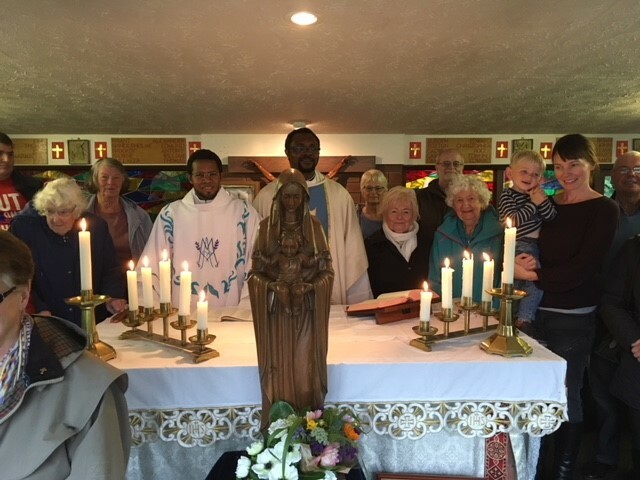 After Spiritual activities , we had social aspects of the celebration where we sang Happy Birthday Song to Our Lady , enjoyed our birthday cake and other contents of light refreshments. 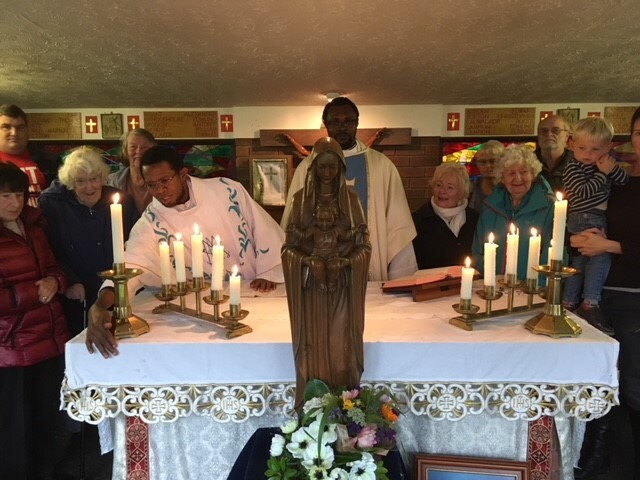 HAPPY BIRTHDAY TO YOU , BLESSED VIRGIN MARY.